Terrified staff at a Wigan store were confronted by armed raiders swinging baseball bats in the latest closing-time supermarket attack in the borough. Cash drawers were forced open at the Lidl in Pemberton, as the pair struck around the end of trading at the premises in Chatsworth Street. Other news: Man told police "I'm going to chop someone's head off"
Police say the intruders approached the tills, swinging baseballs bats, before making their demands. One of the workers stepped forward to challenge the duo, who then fled with an undisclosed amount of cash towards Smethurst Lane. No-one was injured as a result of the confrontation but staff were said to be “extremely shaken”. Detectives have said that the pair, who struck around 9pm on Wednesday, November 29, were each wearing dark tracksuits and had scarves masking their faces. 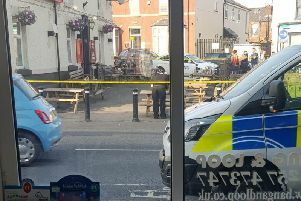 Det Sgt Suzanne Rigby, of Wigan CID, said: “This was a brazen robbery that has understandably left the employees extremely shaken. “They were getting ready to go home and were closing the store when the armed offenders ran in. “I appreciate this happened late in the evening when the area would probably have been relatively quiet. “But I would appeal to anyone who saw anything suspicious in the area to get in touch. The incident is the latest in a string of armed robberies which occurred as staff begin to lock up for the night. Two masked men struck at the Asda store in Atherton on Sunday, November 19. One pointed a gun at staff and the other was wielding a machete. The pair were involved in a carjacking as they made their escape. Shoppers were also left terrified after four thugs in balaclavas burst into the Asda mini-market in Windermere Road, Leigh, on December 2, again around closing time. The quartet appeared to be targeting the cigarette kiosk, grabbing armfuls of tobacco products before escaping in a waiting vehicle. Anyone with information about the latest incident should call police on 101 quoting reference number 2027 of November 29, or the Crimestoppers hotline, in confidence, on 0800 555 111.